The Legendary John Heltzel Retires after 40 Years! 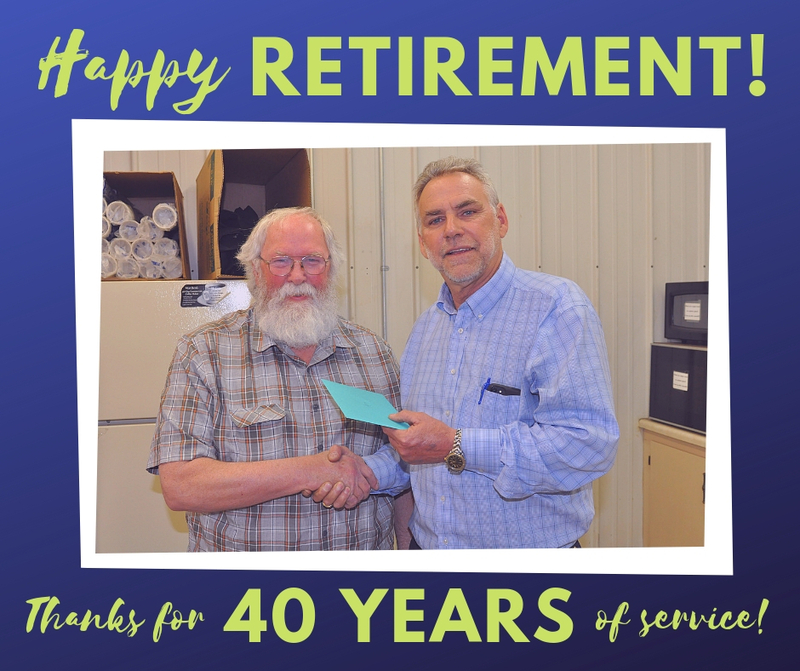 Well, it’s official – John Heltzel retired and left us after 40 years of employment at Scotchman. It is different around here now without John sitting at his desk... a little bit lonely even. Thursday afternoon we shut off the phones and celebrated John, his 40 years of service here, and his retirement, but yesterday it was real because his chair sat vacant. John has been a friendly face and an extremely knowledgable & important asset to our customer service department for over 35 years -- He will definitely be missed around here! 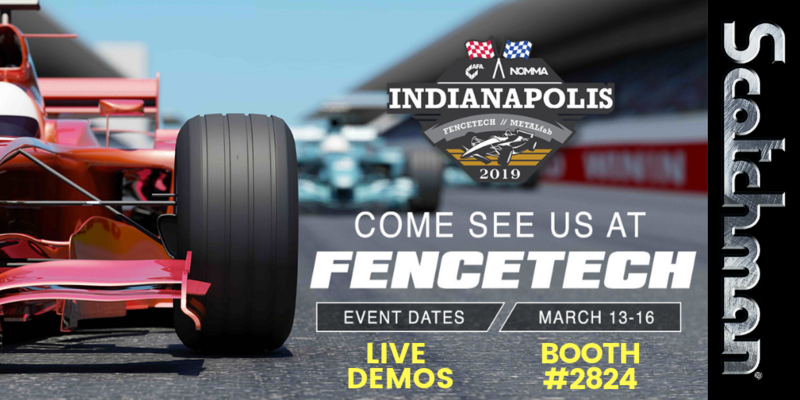 Start Your Engines, Scotchman is Headed to Indy- FENCETECH 2019! 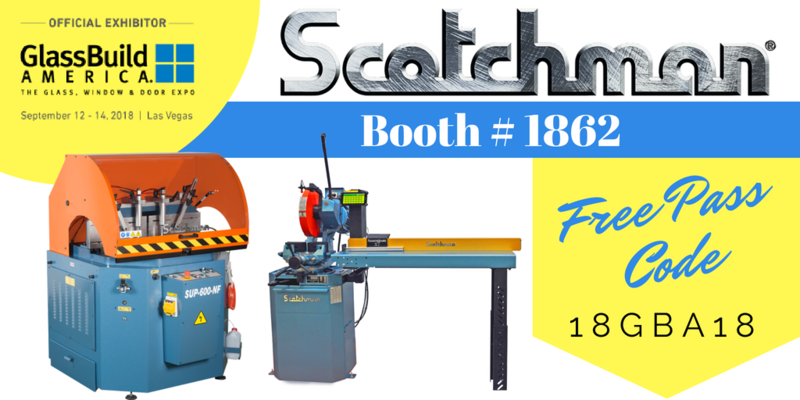 Scotchman Industries is gearing up to hit the road to exhibit at FENCETECH in Indianapolis, IN. If you are in the fence, deck, railing, door, or ornamental iron industry...attending this show is a must! FENCETECH 2019 will be turbo-charged by co-locating with two other influential industry shows: National Ornamental and Miscellaneous Metals Association’s METALfab and International Door Association’s IDAExpo. Harness the power of 3 shows in one located in Indianapolis, IN. We'll be in booth #2824 at the Indianapolis Convention Center in Indiana, on March 15-16, 2019. We have a FREE expo pass for you! Hope you can join us. If you’re like most professionals in our industry the thought of how to reduce costs, increase efficiency, & improve productivity is frequently on your mind. A visit to FABTECH can help you find a solution to put your mind at ease. Our team at Scotchman Industries is constantly researching and developing new ways to make our hydraulic ironworkers more efficient anduser friendly. Just released, 3 new options now available for current ironworker models. Manufacturing Day 2018: Scotchman Opens its Doors to Inspire the Next Generation. 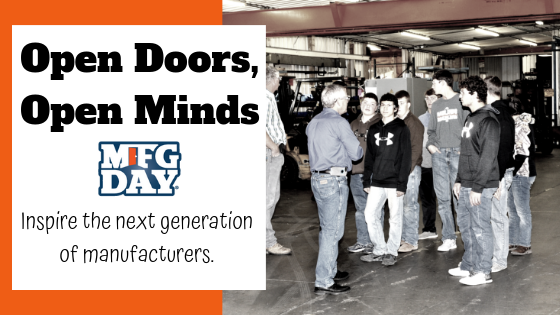 Manufacturing Day is a growing grassroots movement of manufacturers dedicated to overcoming the shared challenges facing manufacturers today. The most pressing issue is a gap in skilled labor. Manufacturers’ ability to address this issue has been hindered by the public perception that careers in manufacturing are undesirable and by the lack of sufficient preparatory education. Both of these problems stem from a lack of understanding of present-day manufacturing environments, which are highly technical. People in general are always looking for ways to improve the things we do every day by making them easier and more efficient...today's technology makes this possible. From online shopping, to FaceTiming a friend halfway across the world, advancements in technology impact nearly every aspect of our lives. Technology has also affected manufacturing in ways that were unthinkable just 20 years ago! At Scotchman, we want to help your shop efficiently produce the best cuts possible with automatic and semi-automatic machines like our circular cold saws and measuring systems. Not sure if adding automation is worth it? 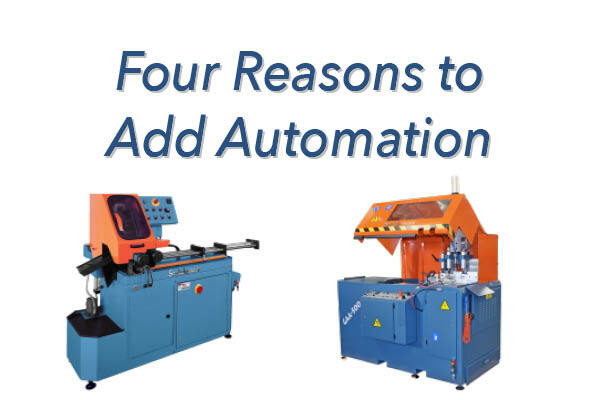 We’re giving you four benefits of adding automation to your factory and your sawing processes to explain how adding small bits of technology can improve your everyday processes. FABTECH 2018 | What to do in Atlanta? 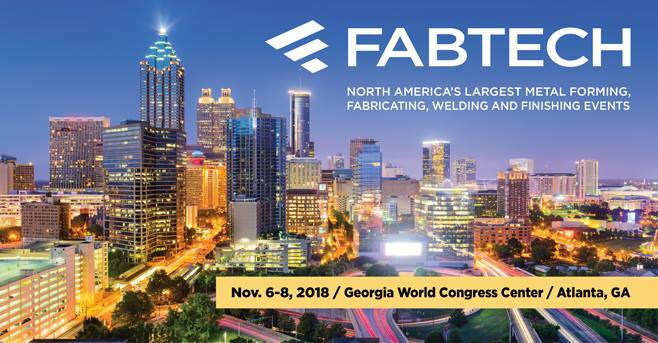 FABTECH returns to Atlanta this November 6-8, 2018 and marks the 4th time the show has been held at the Georgia World Congress Center. ATL is the perfect host city for this year's FABTECH show. Manufacturing is thriving in the Southeast and according to a Trade & Industry Development article it's predicted that the Southeast will be a major hub for metalworking over the next 10 to 15 years. FABTECH isn’t just for the host city though. More than 35,000 people will be in attendance and over 1,500 companies will be exhibiting, giving you and other industry professionals the opportunity to collaborate, discover leading & innovative technologies, network, and participate in educational sessions to accelerate and grow your business. 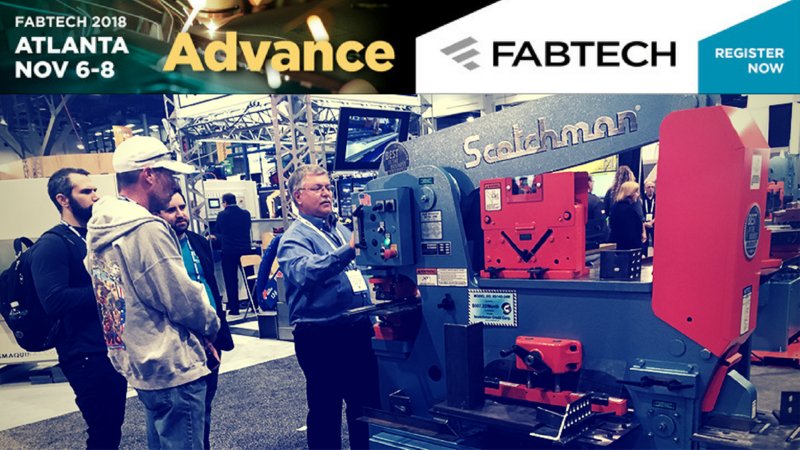 If you’re attending FABTECH 2018, you'll want a strategy to help maximize your time. Here are some pre-show planning tips and FAQ to make your trip a success. But it can't be all about work right? Atlanta is ranked one of the highest destinations for tourism. Here’s a list of 50 fun things to do in Atlanta. We understand you’re probably not on vacation, but you can experience two of Atlanta’s top destinations just by attending a special show event! Attend the exclusive Industry Night Party at the Mercedes-Benz Stadium or journey through 3.1 miles of Centennial Olympic Park Center while you’re running or walking FABTECH’s RUN4MGF 5K. Scotchman is revving up to return to the biggest metal fabrication industry event in North America, this year held in Atlanta, Georgia. At FABTECH 2018, we will be demonstrating several models of our trusted metal fabricating machinery, as well as featuring automating solutions you can use to propel your business further. Scotchman Industries will be bringing the best circular cold sawing systems for the aluminum extrusion market to Vegas this fall for GlassBuild America. If aluminum is not your thing we have a full line of ferrous and non-ferrous saws, manual to fully automatic. Read below to see what the event is all about, what we're bringing to Sin City, and how you can get a free pass. 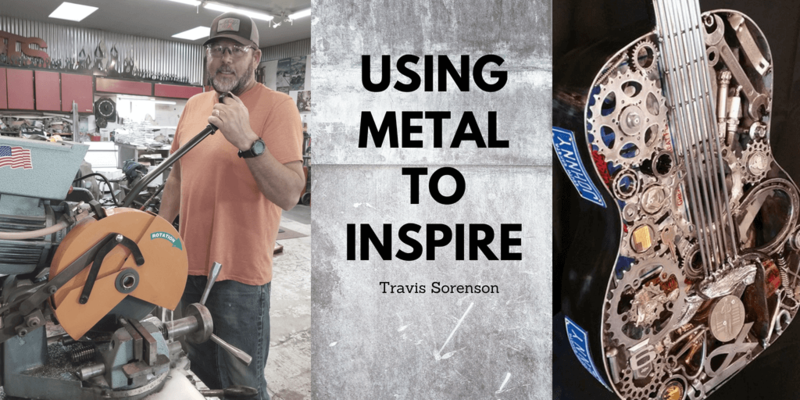 Travis Sorenson of Sorenson Metalworks, was first introduced to Scotchman machines over 25 years ago when a demo truck stopped at his place of employment...but his love for welding and fabrication came from his family. Today, Sorenson uses a Scotchman Circular Cold Saw to create pieces of metal artwork which are an inspiration to all who stumble upon them. Join our community of subscribers and be the first to know about our upcoming events and promotions, the latest how-to tips & tricks, new products and everything in between, right to your inbox.